Description: Autumn in the Catskills is my favorite time of the year. 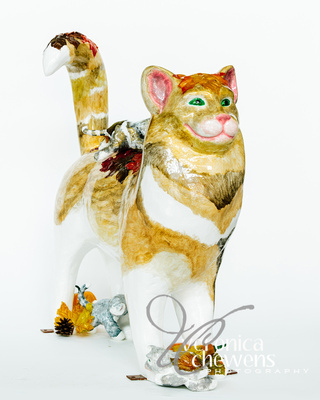 Silk colored leaves and plastic gourdes and pumpkins will be used to decorate this yellow tabby cat. About the Artist: Since childhood I have always been interested in arts and crafts. 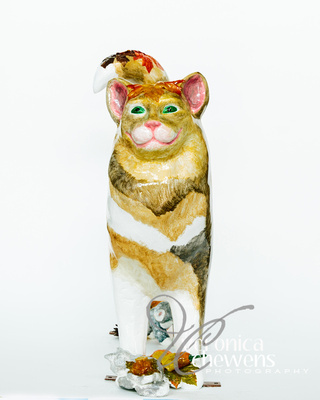 For the past decade, I have admired the Cat ’n Around Catskill cats every summer but was reluctant to submit a design. 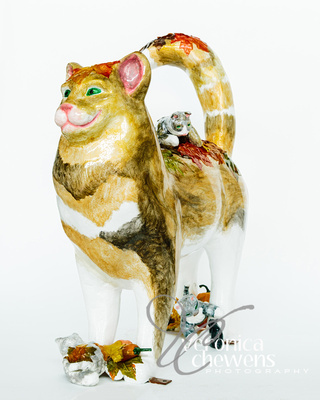 A dear friend and local artist offered to mentor me through the process of creating my own Catskill Cat, which was the catalyst I needed to submit a design this year. I look forward to the opportunity to contribute to this amazing fundraiser for Catskill.